Cyber security firm teams up with fashion label to create smart clothes. In the future, fashion may be at the forefront of fighting cyber crime. 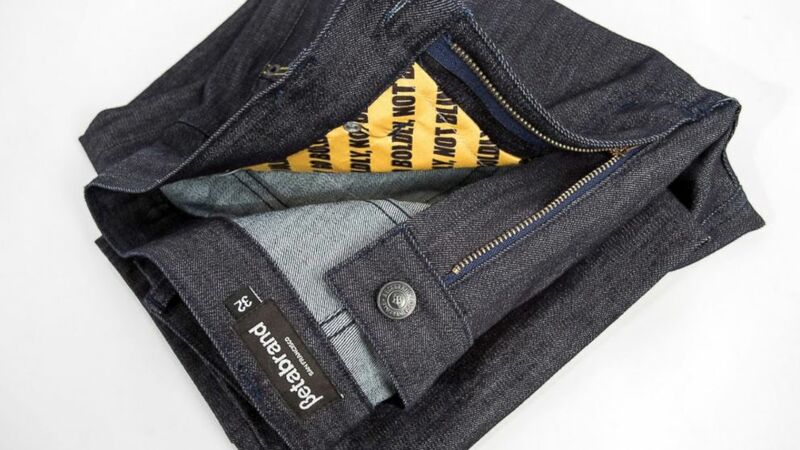 What sets Betabrand's Ready Active jeans apart from the pack is the radio frequency identification fabric lining a front and back pockets. The jeans are a collaboration between security company Norton and Betabrand, a retailer focused on creating and selling innovative clothing. The Norton-approved technology blocks radio-frequency identification (RFID) and near-field communication readers, which can be used to scan for credit cards. "We'd been experimenting with use case for RFID blocking fabric, when Grey, Norton's creative agency approached with the idea of applying it to jeans," Aaron Magness, Betabrand's vice president of marketing, told ABC News in an email. "[We] can't imagine a better partner to work with than Norton on a project like this since they are the known leader in digital security." The security savvy pants, which met the crowd-funding goal in less than 24 hours, can be purchased for $151.20 while the project is still in crowd funding. The pants will then go up to $168, Magness said. "Because of the demand we've seen, we've started to move forward with production and they'll be ready to ship in February," he said. A $198 blazer with an RFID-blocking pocket is also a possibility, however, it still has yet to meet its crowd-funding goal.